We have 853 Post Master's Certification Nursing Programs in our database. Why Consider a Post-Master's Certificate in Nursing? Certification is an option for nurses in other specialties such as ambulatory care, home health, gerontology, pain management, critical care, and even nurse executives and informatics specialists. Being certified is not usually required to hold a job in these types of specialties, but it may be desired by an employer if you are in a leadership or management position. Nurses who typically need certifications in their specialties also hold a Master of Science in Nursing degree (MSN). This is a graduate degree that prepares nurses for expanded professional roles. New graduates need to initially take a certification exam and demonstrate competencies specific to their scope of practice. Why Consider a Post-Master’s Certificate in Nursing? Nurse are a vital part of hospitals and medical centers across the country. These professionals are responsible for caring directly for patients with a wide variety of health concerns, diseases, and injuries throughout their lifetime. As the years go by, more people are finding that nursing is a great place to work professionally, which has increased the number of graduates within the field. What this means for current professionals is that there is a profound need for advancement in the field, so that more job opportunities are available when needed. Nurses that have continued their educational path on to the master’s level for advanced practice may find more doors opening within their domain. However, some career fields require that nurses specialize in certain areas prior to being considered for these interesting positions. The best way to ensure your place within some of the specialty fields within nursing is to engage in a certification program that interests you. By obtaining certification, you can exemplify your importance in the field of nursing and seek out careers that are more relevant to what you truly desire. Continuing on this path can also help to thwart the risk of overpopulation of professionals at your level, which is a soothing fact for busy nurses. As the rise in popularity of online degree programs makes pursuing a certification in nursing easier, colleges are offering programs that focus on numerous specialties. What you are interested in within the field of nursing can help you determine which route to take along the way. As a master’s level nurse, you already have what you need to pursue higher careers within nursing, but a certification can help to find careers working for the people you desire to help. Nurses who typically need certifications in their specialties also hold a Master of Science in Nursing degree (MSN). This is a graduate degree that prepares nurses for expanded professional roles. New graduates need to initially take a certification exam and demonstrate competencies specific to their scope of practice. Take a look at some of the certificate programs available below. This certificate program can allow you to find added educational opportunities surrounding the care of the aging population. Gerontology takes into consideration the various health components that are specific to people that are of older age. If you have an interest in working with people within this age group, this certificate program could be an excellent way for you to learn more about the ailments and diseases that accompany it. This certification could lead to careers working for hospitals, medical centers, or even retirement homes. Some generalized fields in nursing can allow you to pursue careers providing general health care to individuals and families within your community. The Family Nurse Practitioner certification program can give you extra skills needed to provide preventative care, treatment, and follow-ups to members of a family unit. With this certification, you can learn the various diagnostic testing methods and treatments available to people from all age groups. You could work for a private practice, in hospitals, or small community health centers. Aside from the applied careers in nursing, there are also many opportunities in management and leadership available for applying. The Health Leadership certification program can teach you the ins and outs of healthcare facilities, including fiscal components, employee management, human resources, and laws and ethics. If you are interested in leading teams of nurses within busy medical centers, this could be the certification program for you. Hospitals, medical centers, rehabilitation centers, and local community health programs may employ graduates with this distinction. Nurse midwives are becoming more popular for women that are thinking of having children and are within childbearing years. For centuries, nurses have been leading hands during the actual childbirth process, making this specialization a long time in the making. This program can prepare you to provide assessments to women that are nearing childbearing maturity, encourage wellness and health for preparations for future motherhood, care for women during pregnancy and birth, and provide aftercare to both mother and child. You can potentially find careers working for maternity wards in hospitals and medical centers, as well as private maternity centers across the country. Another specialization that strays from the normal applied setting is informatics. This field takes into consideration the rise in the use of technology by nurses and medical facilities. During this program, you can learn more about the computer systems, languages, and databases used by hospitals administration. If you want to be a problem-solver and provide insight on the use of these programs and the data within, this could be a certification program that interests you. Any hospital or medical facility that uses technology for storing and managing patient data requires that informatics experts be on staff. There are multiple possibilities for you professionally with this type of certification. 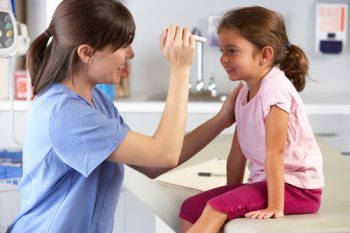 One field that has always been popular for upcoming nurses is pediatrics. Working with infants, children, and adolescents can provide a sense of satisfaction for nurses that truly enjoy helping their patients. In this program, you can learn the various techniques and communication practices that are useful when working with children. You can also learn about the disease, injuries, and illnesses that are common within these age groups, which can assist with providing a better quality of care for those you serve. Becoming certified in pediatrics can set you on track for careers with hospitals, maternal and child health centers, schools, or even private practice. The field of psychiatry and mental health require nurses to assist with the care of patients within mental health facilities and those that need assistance in dealing with the stresses of every day life. In this program, you can learn more about the different types of mental illnesses and their symptoms, methods for assessment and treatment, as well as therapeutic processes for people that have been diagnosed with different disorders. You can potentially work in mental health facilities, hospitals, or private offices with this type of certification. In the fast-paced environment of hospitals and health care centers, professionals with the knowledge and patience to handle crisis are needed to help assist patients with sudden and serious illness and injury. Certificate programs in acute care can assist you with gaining a better understanding of quick, but sound, care for patients that are visiting emergency rooms or doctor’s offices with serious health concerns. With this type of addition to your degree, you could work in emergency room settings, for emergency response services, in hospitals, and in medical centers that can assist with acute care services. This certification also offers even more specializations, such as pediatrics, gerontology, and oncology. If you are looking for a certification program that can provide more than just proper treatment methods for patients, nursing education is another great choice. This program is designed to help students learn how to properly education nursing students about the different topics associated with nursing. If you complete this certification program, you can work for nursing schools or other educational facilities that offer degree programs to nurses. This would be a great certificate program for nurses that want to contribute more to their fellow professionals. When it comes to the nursing profession, the word â€“ certification â€“ means you have passed an exam certifying that you have achieved certain professional competencies and skills to perform your job. It is required for some nursing specialties and optional for others. For instance, you must be certified to work as an advanced practice nurse such as a nurse practitioner, nurse anesthetist, nurse midwife, or clinical nurse specialist. Once in practice, re-certification is necessary on a periodic basis. This may require verifying your licensure and membership in a professional organization, documenting professional development activities, and taking continuing education credits. The first step to getting your hands on a certificate in nursing is finding the right school. It is important to determine whether or not the school has the proper accreditation, since this can affect your ability to become certified once you have completed all of the necessary steps. The American Nurses Credentialing Center is the leading source of accreditation for programs that lead to future certification. If you see this organization’s label on an academic program, you can rest assured that it is reliable and can get you where you need to be in the field of nursing. You should also consider what field you would like to work in. As you can see in the section above, there are several different areas for you to choose from for you specialization. Since you have already obtained a MSN in advanced practice, you still have your general capabilities to work in diverse fields. The certification program can only further your opportunities throughout the entire field. Enrolling into a certification program involves providing proof of graduation and transcripts from universities that you have already attended. Some certification programs may also require that you provide proof of relevant employment experience as well as test score from your NCLEX-RN. Once all of these requirements have been completed, you can start the certification program of your choice. This university has a great certificate program for professionals that want to go on to teach others in the field of nursing. Course work in this program focuses on the laws and ethics surrounding nursing as well as the various components for properly nursing of people in society. The entire program is 12 credits and includes courses such as Curriculum Design in Nursing, Teaching and Learning for Nurse Educators, and Assessment and Evaluation in Nursing Education. Vanderbilt currently offers certificate programs for 13 different specializations. From Health Leadership to Women’s Health, there is a wealth of opportunity for students wanting to take this path. The requirements of each program will differ, so our team encourages you to research more information on the university’s website if this college is of interest to you. Students that choose Walden University have the option of pursuing specialization in Nursing Education, Informatics, or Leadership and Management. Each program requires around 26 quarter credits for graduation and can be completed in 1 year or less. If you are interested in finding careers that involve teaching other nursing students, having knowledge about the various technical and computer operations of nursing centers, or leading others, these programs could be of interest to you. Enrolling in a certificate program can give you the extra shine on your current resume and can lead to more sought after jobs throughout the medical field. Pursuing a career as a nurse can say a lot about your personality. It takes a caring and dedicated professional to be involved in this type of field. If you know that you want to work as a nurse in advanced practice, but want something more to accompany your resume, post-graduate certificate programs can provide what you need. There are numerous specialties that touch on the different areas within the medical field. If you are more interested in working with particular groups, programs are definitely available. Take the time to completely explore your options through online degree programs and choose a program that provides what you need and the scheduling that works for your life. Taking control of your career track is the best thing that you can do for yourself as a professional.